How does the percentage of minority teachers compare with the percentage of minority students in Denver Public Schools? Which school districts have the biggest achievement gaps? How much has the picture changed in the last 30 years since the end of federally mandated busing? Find out! 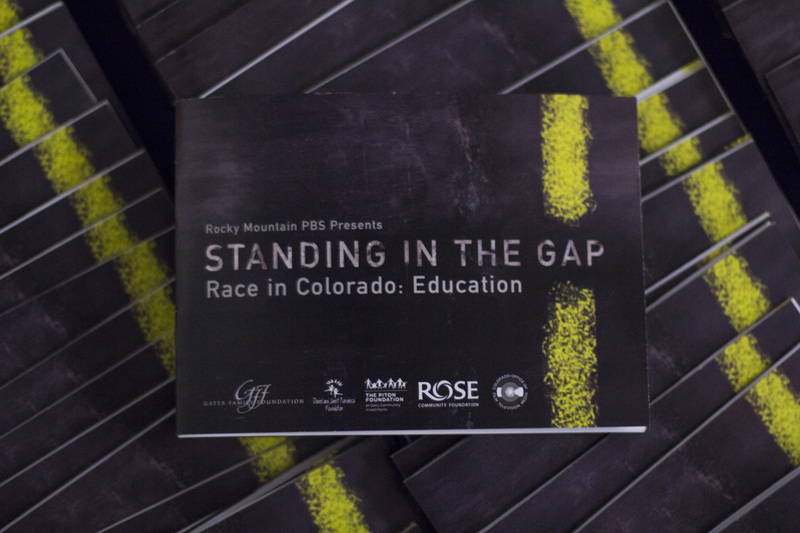 Download the Standing the the Gap Research Highlights Book in English or Spanish. Percentage of students disciplined by the district by race for the 2004/2005 school year and the 2013/2014 school years. Percentage of high school graduates by race who enrolled in college comparing 2009 and 2013. The median growth scores for math and reading standardized tests for both the 2010 and 2014 tests with gaps between white vs. black and Latino students. Percentage of high school students enrolled in AP classes by race comparing the 2004/05 and 2013/14 school years. The high school graduation rates by race comparing the 2010 class with the 2014 class. Percentage of students in grades 3rd through 10th grade in gifted and talented programs by race comparing the 2004/05 year with the 2013/14 year. Percent of teachers, regardless of race, who left between school years comparing the turnover rate between 2005 and 2006 with the turnover rate between 2014 and 2015. Not by race. The Standing in the Gap toolkit includes an opening letter, episode descriptions, discussion guide, fact sheet and an audience notes sheet. Read full-length transcripts from interviews conducted during the filming of Standing in the Gap.